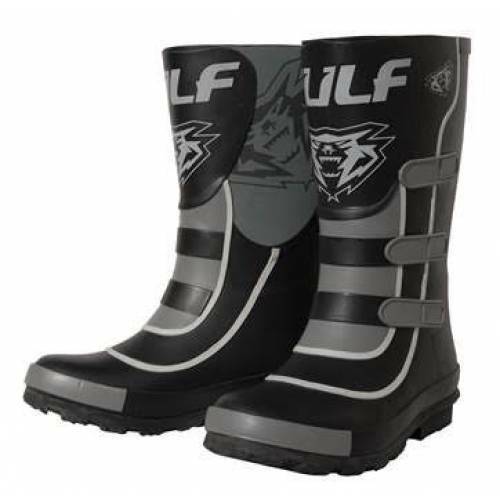 You can purchase this product from Storm Buggies. Subject to status. Terms & Conditions apply. You must have been living within the UK for at least 3 years. 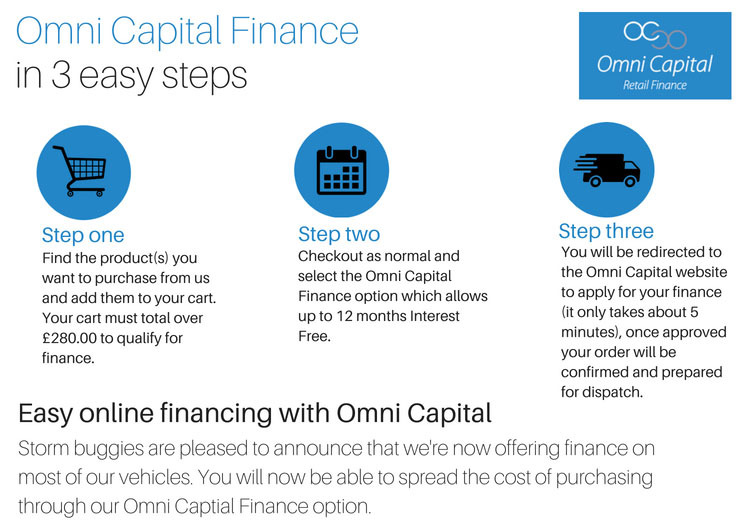 You must have an annual income of at least £5,000 or more. You must not have been subject to any CCJ / IVA’s. 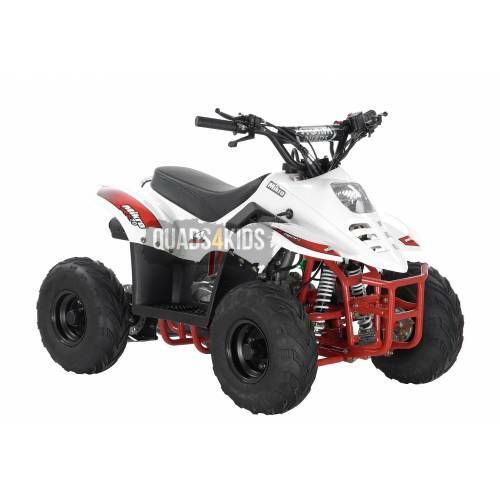 The Orion 70cc quad bike is a well known branded Quad and should not be confused with the cheap unbranded Chinese bikes being advertised on the net and auction sites. 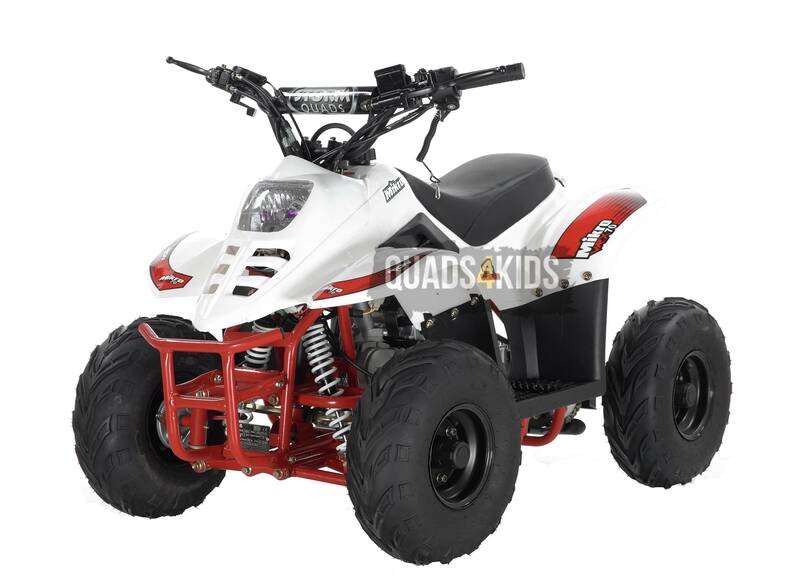 Designed with children in mind; This 2017 fully automatic model has special features like: A fully automatic engine (no gear changing), Easy to use brakes with both front and rear brake levers on the handlebar (no foot brake to get to grips with), Front and Rear suspension for better cornering and a more comfortable ride, a fully restrictable throttle that allows a speed range of approx 5-30mph and a safety wrist band emergency kill switch (Lanyard included). 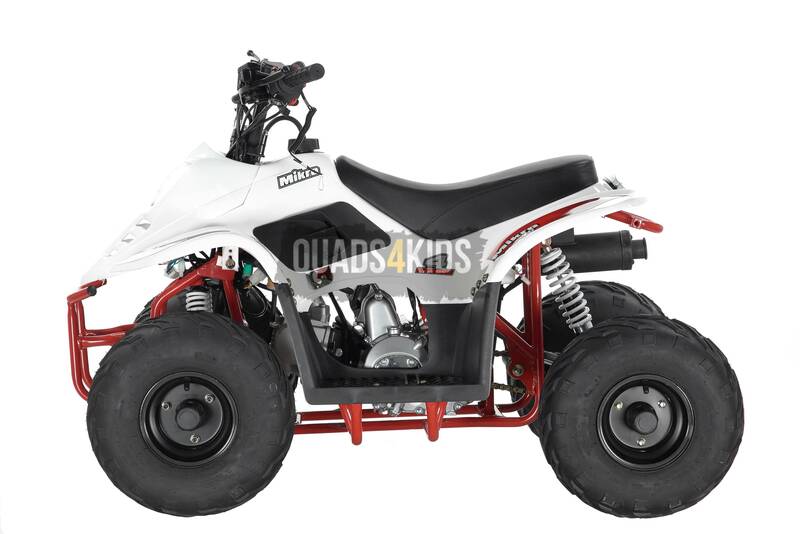 The Orion Mikro is suitable for age range 8yrs - 12yrs (depending on height) and really does tick all the boxes when comparing with other similar makes and models: The wider axles enable better stability, the choke lever has been positioned on the handlebar for easy starting (not tucked away under the bodywork), A slightly higher handlebar height allows for growing room or for those long legs! 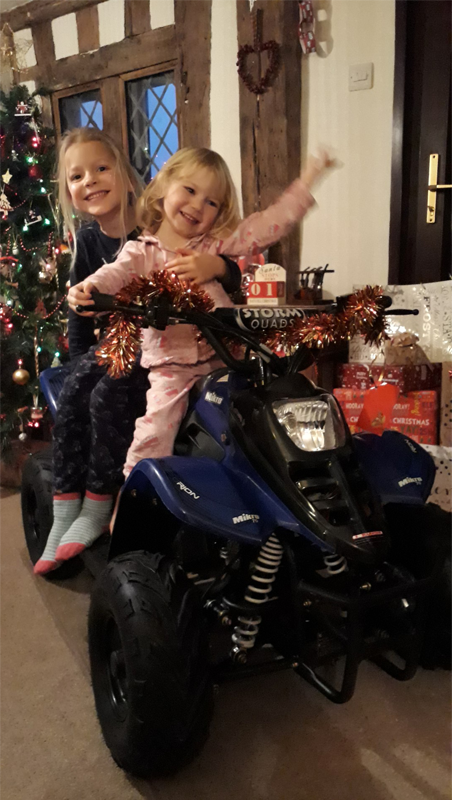 And not forgetting the Safety Kill Switch Cord, which can be used by attaching to the riders wrist, is supplied with the quad bike and not offered as an extra! 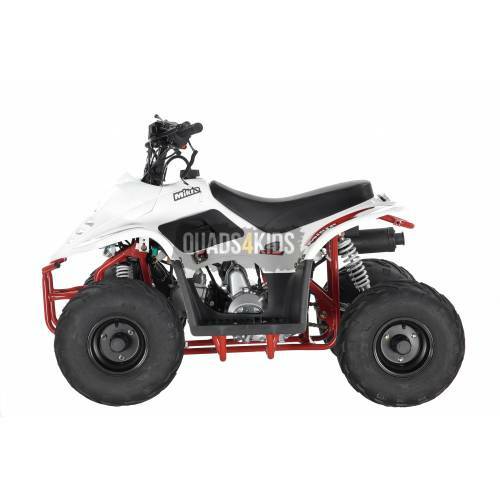 This is a proven quality 70cc quad bike direct from the manufacturer so you can be rest assured you are buying a genuine branded and CE approved product at the best possible price. Beware of poor copies. 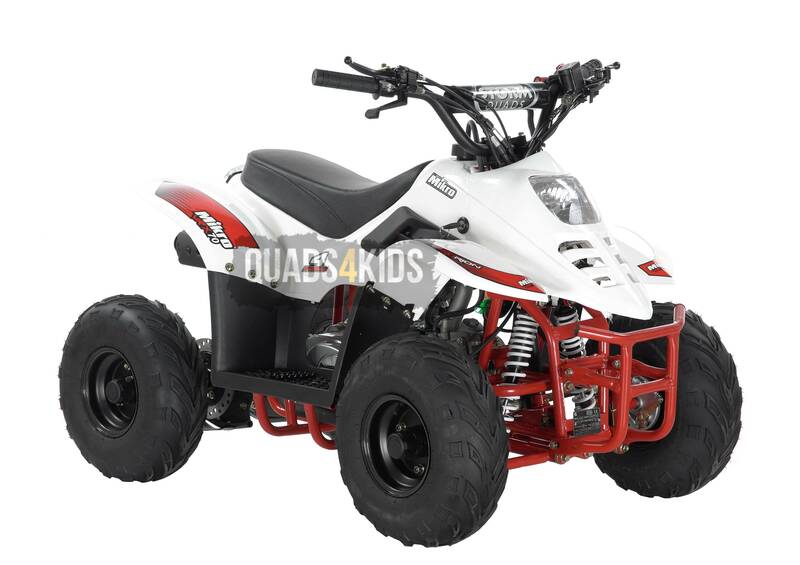 We have 15 years experience in the quad bike market and you can buy from us with confidence. 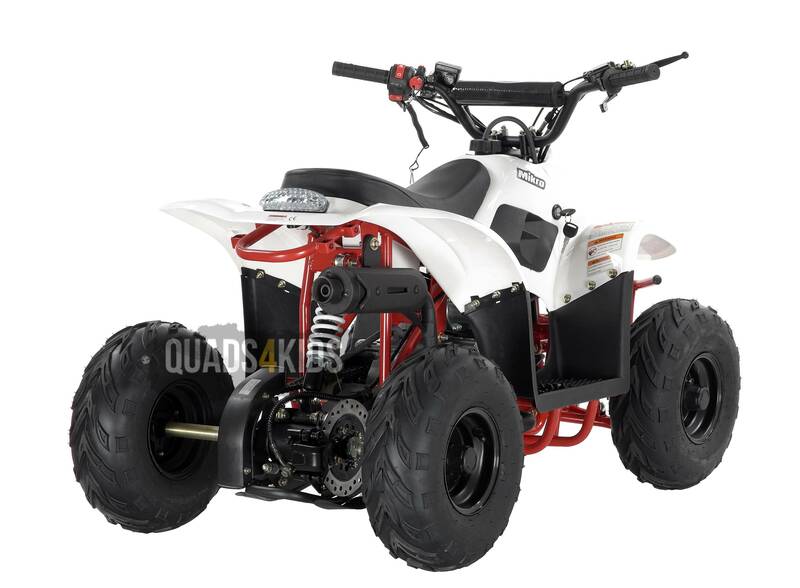 This ATV comes with six months parts warranty, full workshop back-up facilities and a huge range of on the shelf parts. 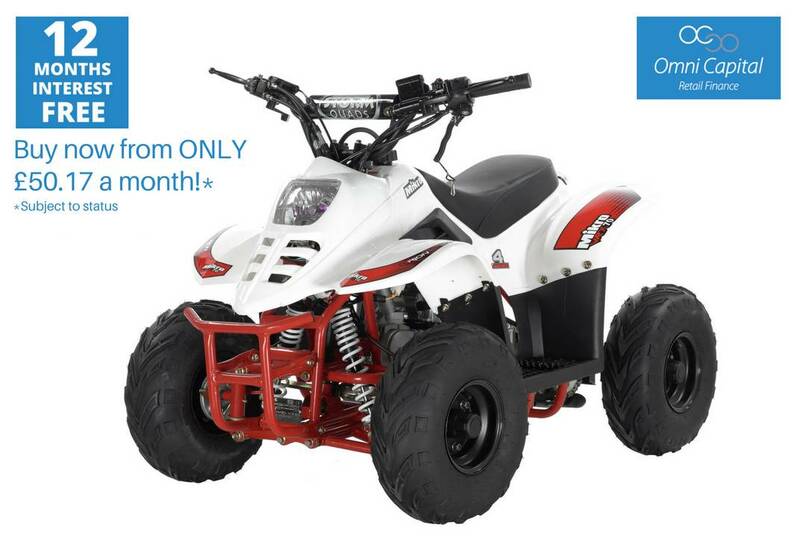 We know its hard deciding which model to pick, so you are more than welcome to view our quad bikes at our Showroom in West Sussex. 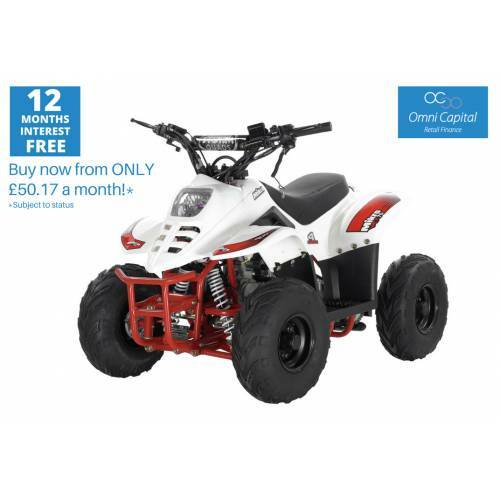 We have also listed some points to remember when comparing the ORION to some other similar 70cc and 50cc makes and sizes. 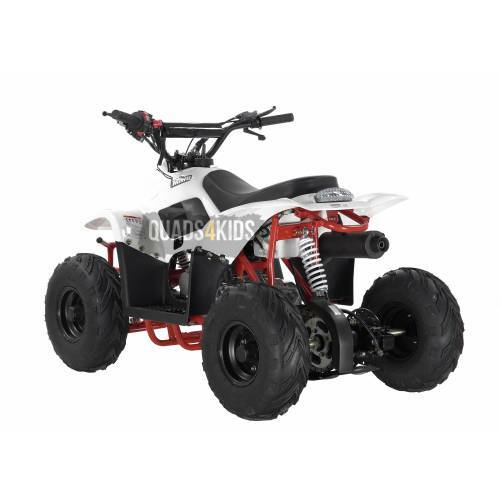 This emphasizes exactly what great quality and super value for money the Mikro 70 Quad Bike is from the recognised brand ORION. Available in Red, Blue, Black, Yellow or Green. 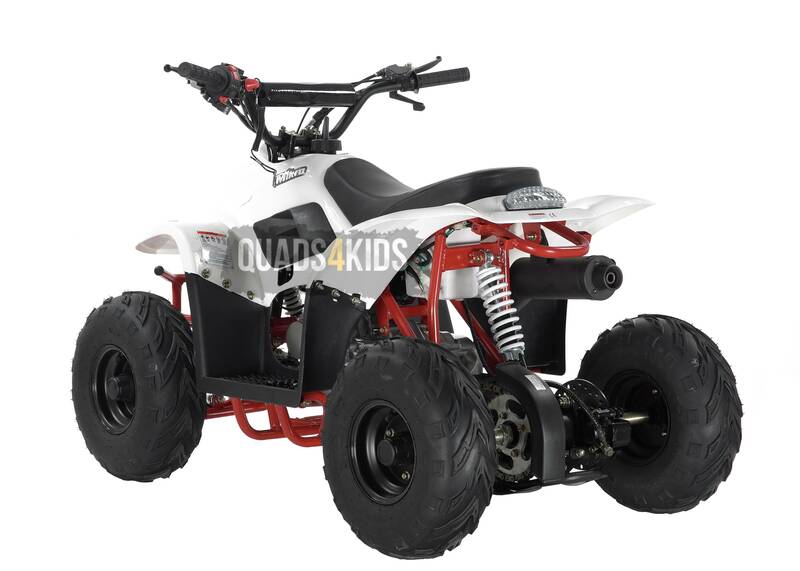 Add to the above large off road tyres, front light and rear reflector and you have a true quality branded 70cc kids quad bike which any parent can be confident in. The machine is very safe, easy to use and restrictable to suit your child's abilities whilst still providing fun with a challenge. 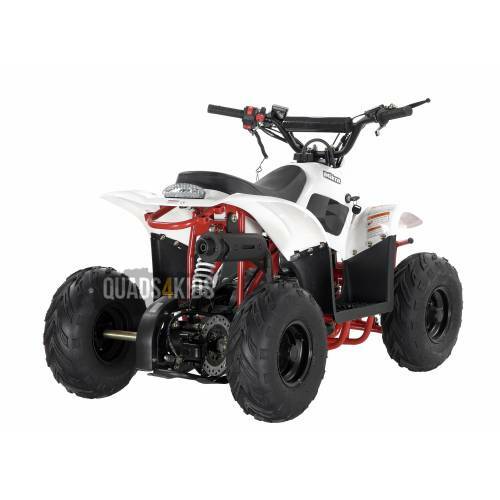 The Orion 110cc quad bikes are the next in the range if you need a bigger machine. This product will be fully built and ready to ride at no extra cost to you! 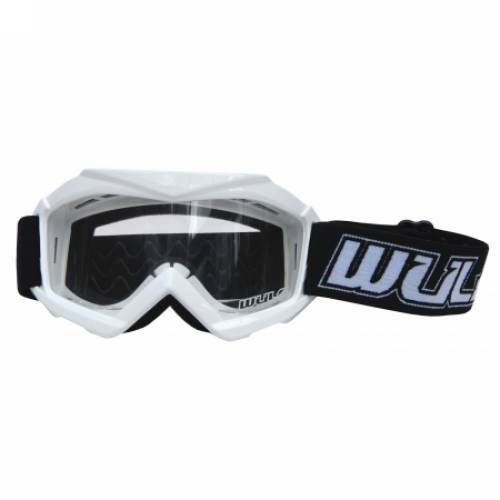 All items are usually kept in stock but we may need 1-2 days notice to build and test the item for you. 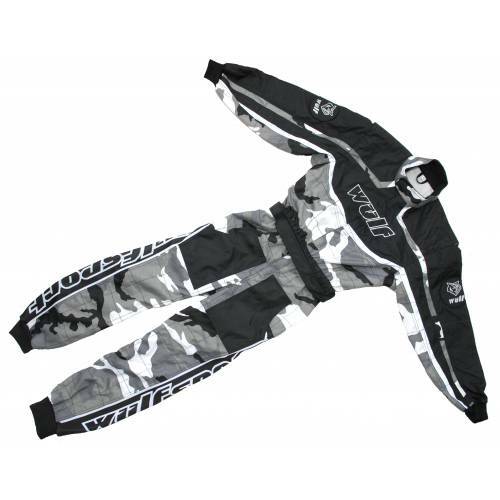 If collecting please check if we have the item you require built and ready to go. 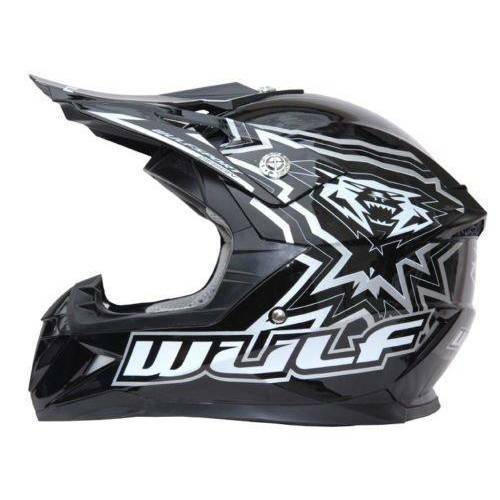 Helmets are available in our accessories section together with body protection. 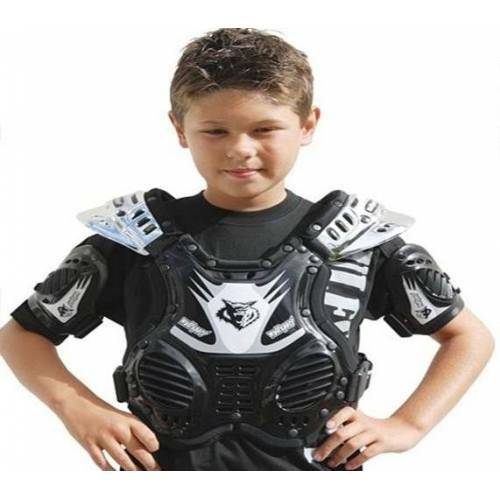 Why not take a look at our kids clothing range. 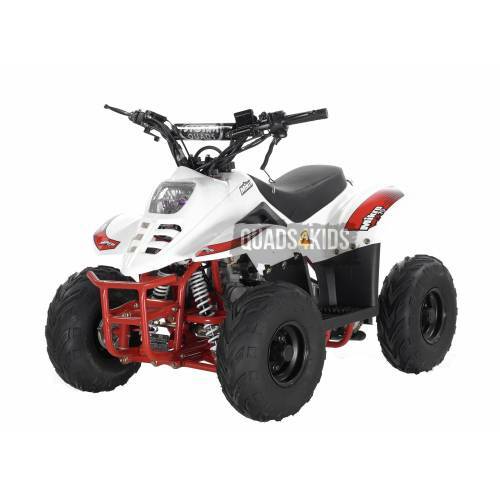 Safety equipment including helmet, gloves, goggles and protective boots must always be worn when using this quad. 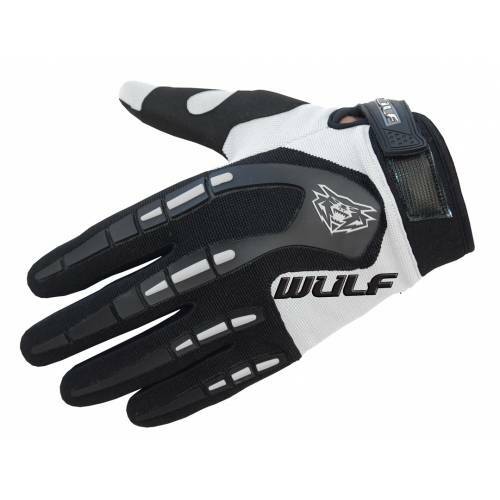 Product images are for illustrative purposes only and sometimes actual colour shades, decals and styles may differ from the actual product. If you require confirmation then just give us a call. Removable keys – no sneaky riding while you sleep! Unit 26 Bolney Grange Business Park, Stairbridge Lane, Near Haywards Heath, West Sussex, RH17 5PB. Please note our new address in West Sussex!